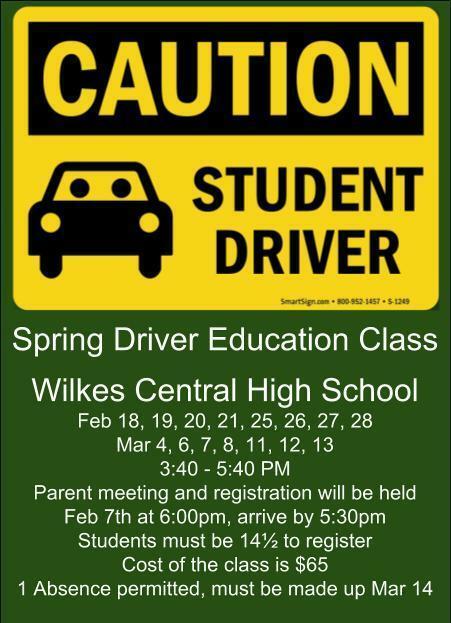 CLASS DATES: February 18, 19, 20, 21, 25, 26, 27, 28, March 4, 6, 7, 8, 11, 12, 13. MUST BE 14 ½ BY 1ST DAY OF CLASS. STUDENTS MUST BE PICKED UP PROMPTLY.